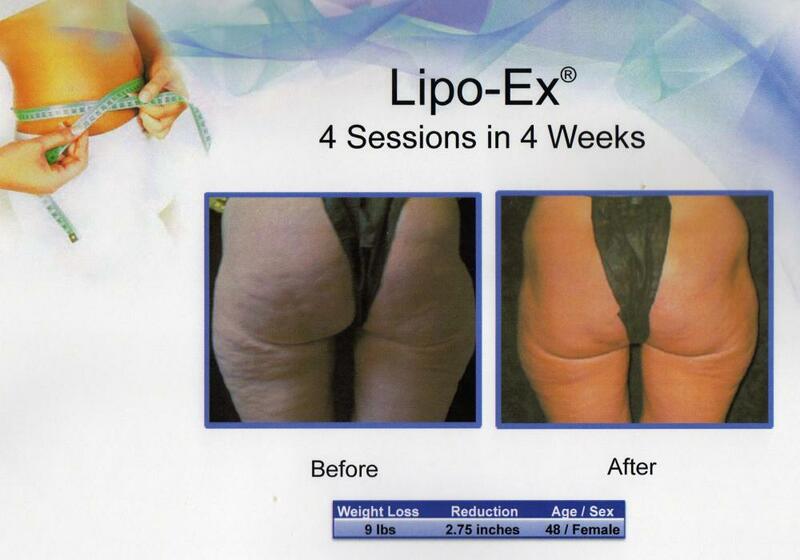 The future of fat reduction is here! 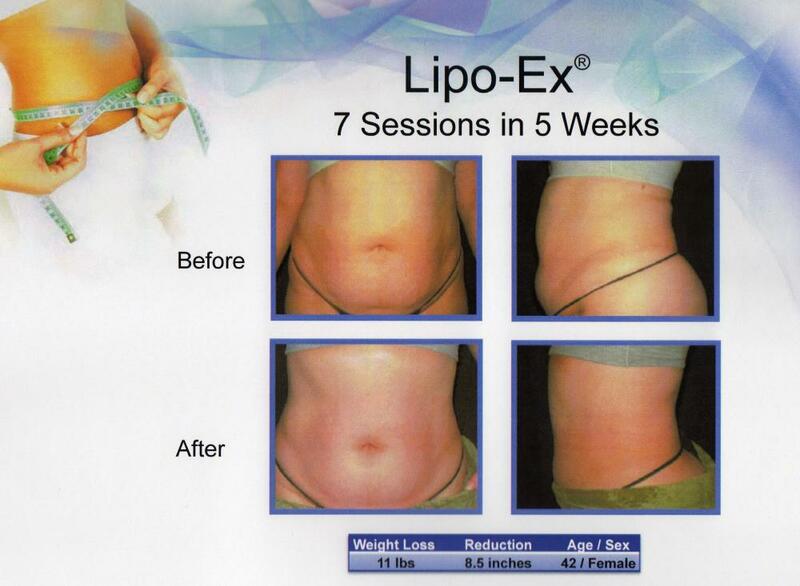 Lipo-Ex melts fat without diet, needles or surgery. 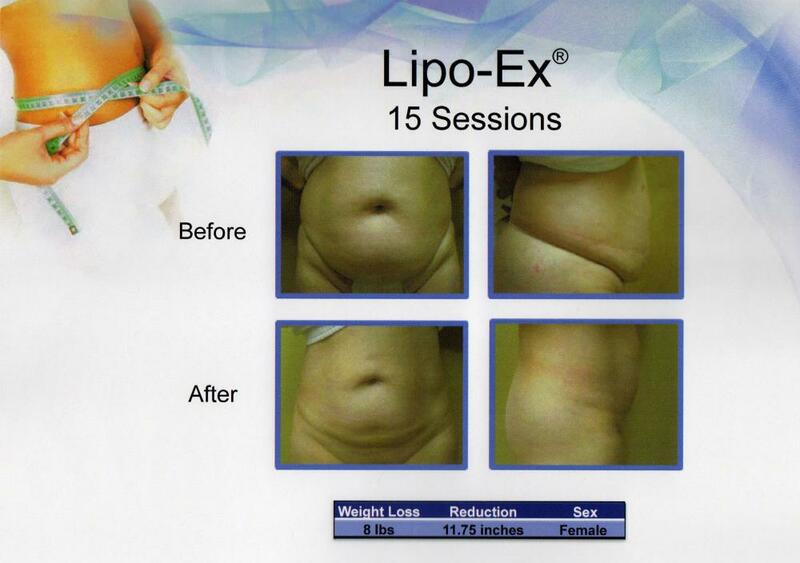 Lipo-Ex is fast, efficient, non-surgical fat reduction and body reshaping technology. 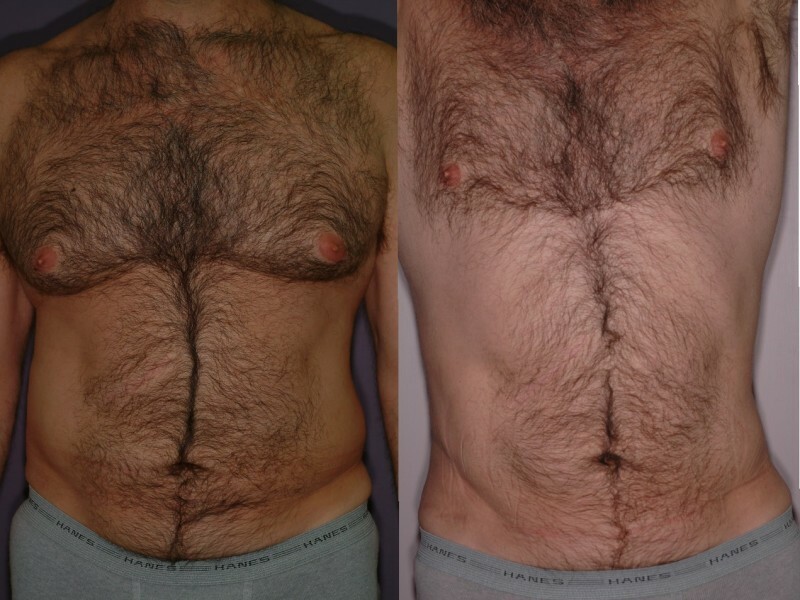 Offering skin tightening, cellulite reduction, wrinkle reduction, body sculpting and fat reduction. Outpatient, non-invasive with no downtime. 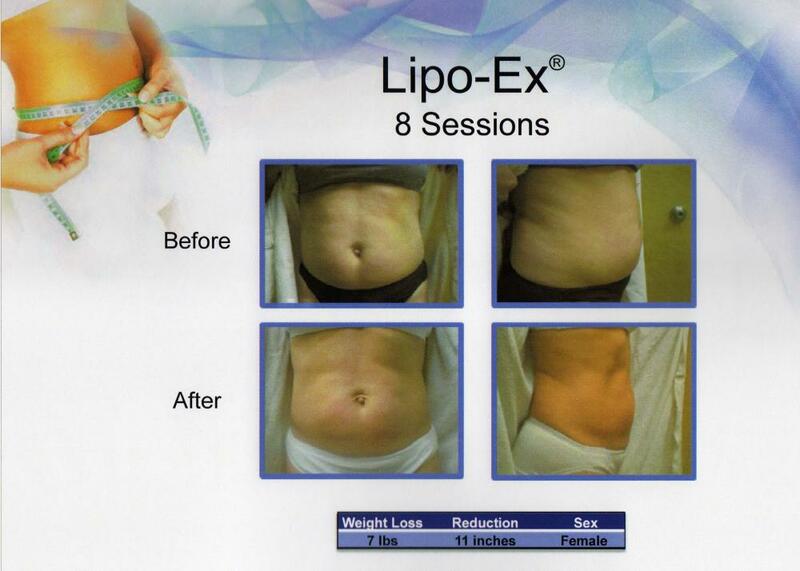 Lipo-Ex uses heat plus bipolar radio-frequency to slowly heat fat, tighten skin and promote new collagen development. 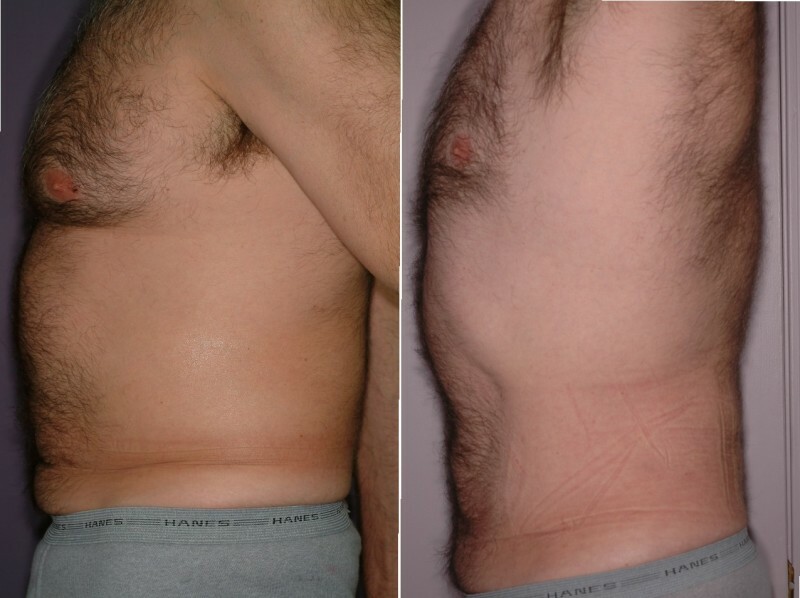 If you are looking for a relaxing treatment with no downtime while losing inches and achieving skin tightening then watch the video in our video library to learn more. Call for additional information and schedule your appointment today.